When most people think about using Bitcoin to pay for something, they usually imagine paying with a smartphone or laptop; however, these kinds of advanced computing devices are not widely-used in every part of the globe. Some parts of the world are not able to run an Android app on their mobile device, but there are a few different ways to get around this issue of certain populations not having access to smartphones. Text messages could be the key to unlocking Bitcoin’s potential in developing countries, and there are plenty of different projects that aim to turn this idea into a reality in the near future. One of the most interesting stories in payments over the past few years has been the prevalence of mobile payments in Kenya. MPESA is a mobile payment platform used by more than half of the population in Kenya, and it allows the people of that country and a few others to enjoy the benefits of banking without actually having a traditional bank account. Individuals can purchase MPESA credits at various locations around the country, and those credits can then be transferred to other individuals who also have MPESA accounts. It is basically Kenya’s version of PayPal that takes advantage of the technology behind text messaging. This is a perfect example of how Bitcoin can be integrated into countries that do not yet have access to smartphones. Another reason to get excited about the idea of using text messages for Bitcoin payments is that it could completely change how international remittances work. For example, a person living in the United States could give a relative in Kenya access to their online Bitcoin wallet by linking their mobile phone with that particular wallet. The relative in Kenya could then either spend the bitcoins from that wallet they now control at a store that accepts bitcoins, or they could decide to send those bitcoins to someone else in exchange for local currency. There are still some issues that could hold back the adoption of Bitcoin through SMS technology in developing countries. For example, the fact that some people will need to pay a flat fee just to send the text message for a payment could make this option cost prohibitive in certain parts of the world. The other issue to think about is the fact that sending bitcoins through text messages actually adds a bit of centralization into the mix. Bitcoin is always more powerful when individual users are managing their own private keys, and that becomes a bit more difficult when you’re using SMS messaging as the rails for Bitcoin payments. At the end of the day, Bitcoin is a much better option than most of the currencies and payment systems in the developing world. Although the infrastructure still needs to be built in particular nations, there are other countries, such as Argentina, where you have the perfect combination of an unstable currency and a tech-savvy population. 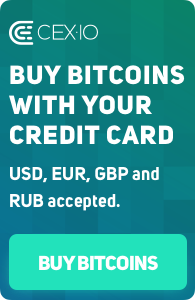 Every person around the world now has a new option when their local fiat currency begins to lose a large chunk of its value on a monthly basis. Instead of watching their savings get robbed from them over time through inflation, individuals will now be able to opt-out of the inflation with Bitcoin.